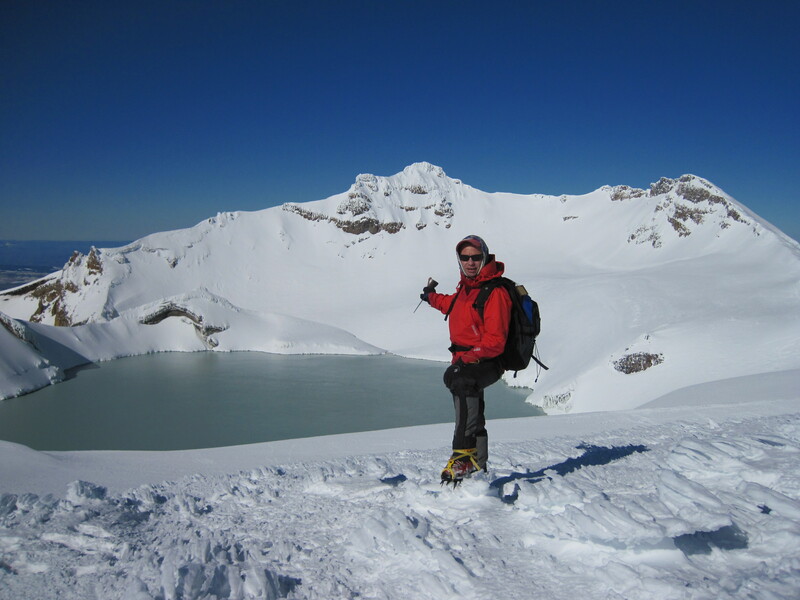 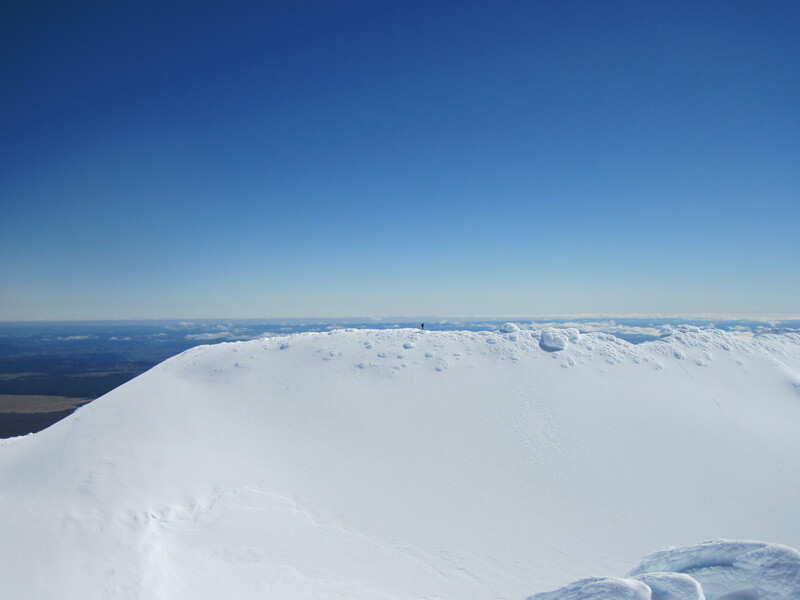 During August 2012, I spent three days staying at the Auckland Tramping Club Ski Lodge on Mt Ruapehu. 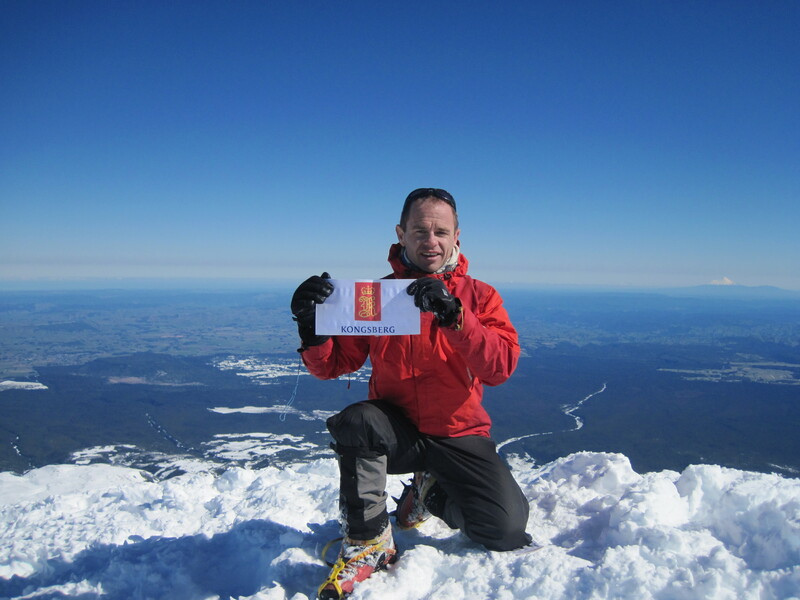 Over two of the days, together with Jim Morrow we scaled the three peaks, Mt Ruapehu, Tongariro and Ngauruhoe. 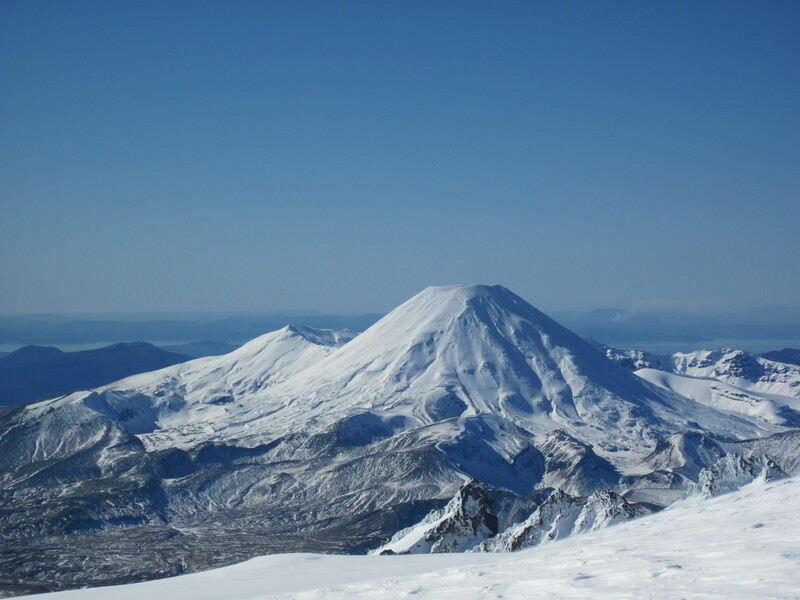 It was a wonderful low key trip, with great weather and good company. 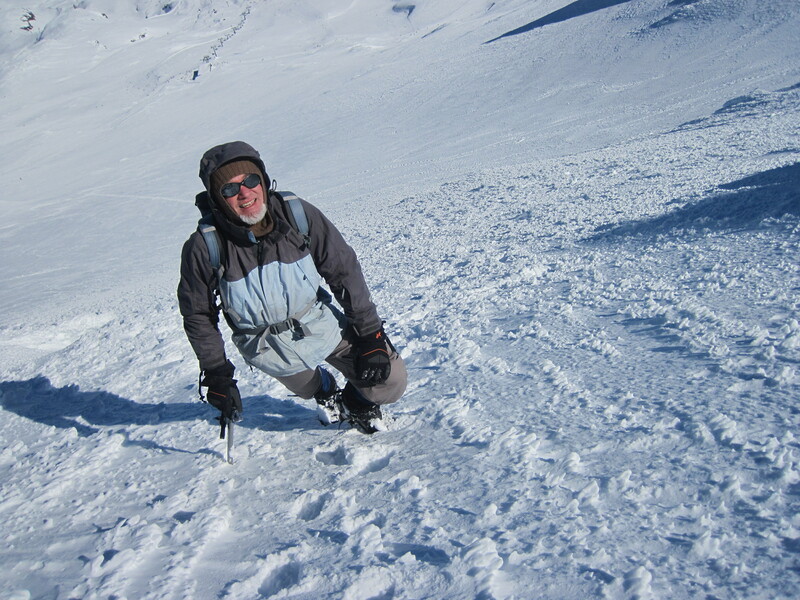 Done in the middle of winter with plenty of snow the views were stunning and the climbing very easy. 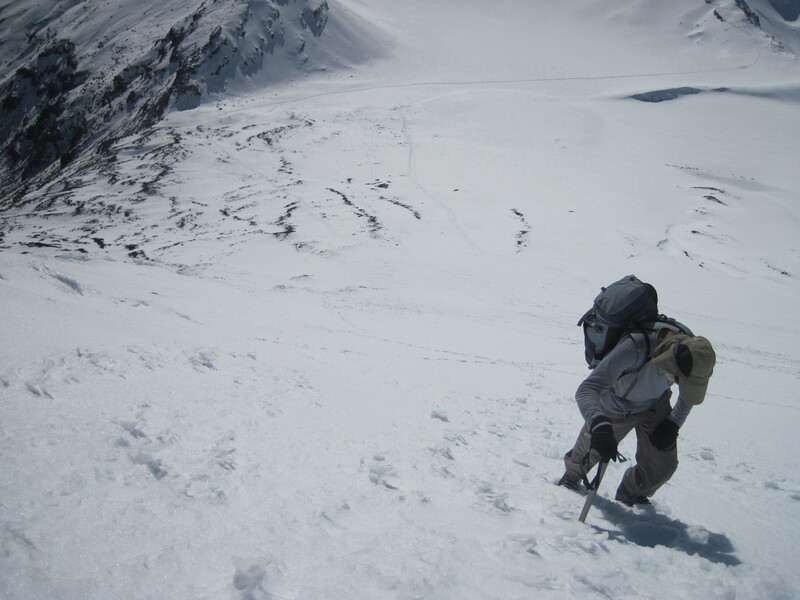 I used crampons and an axe for all three peaks but there is nothing technical. Thoroughly recommendable for a weekend trip! 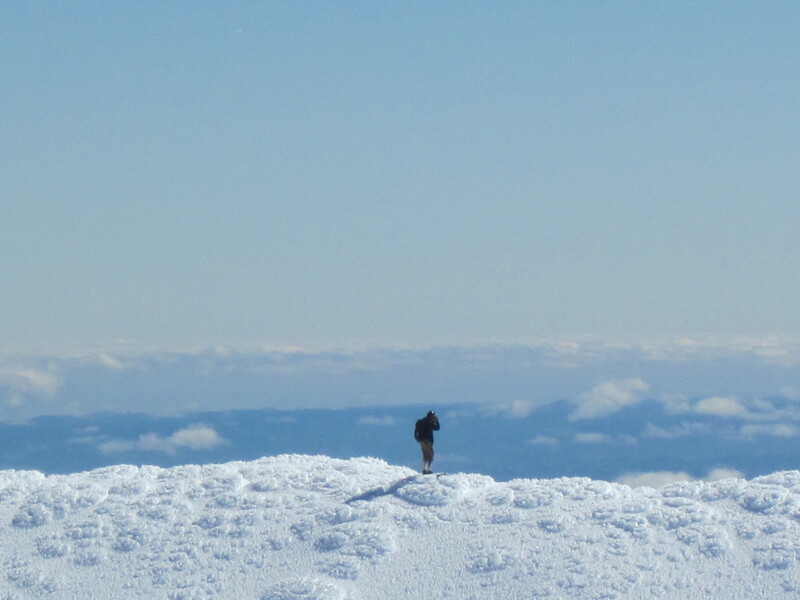 Standing on the summit of Ruapehu on a windy but beautifully clear day. 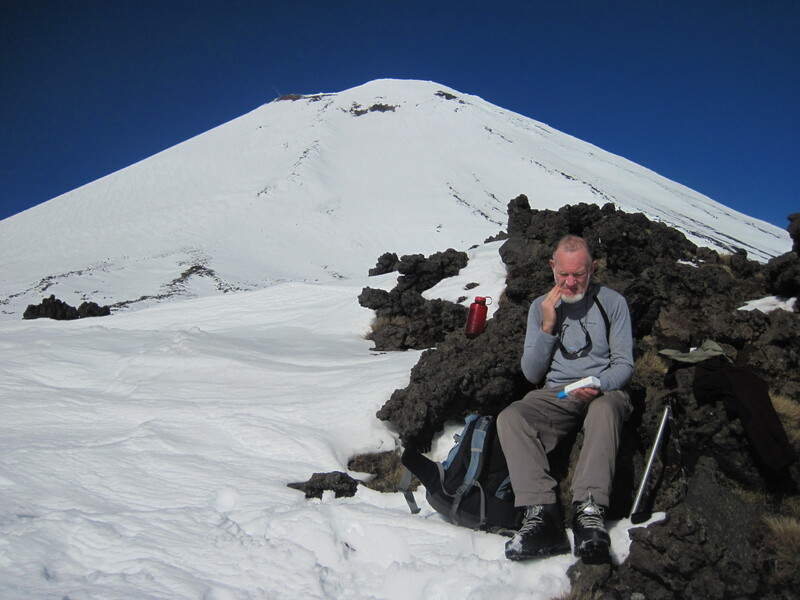 Jim Morrow applying sunscreen on a hot day at the col on the Tongariro crossing. 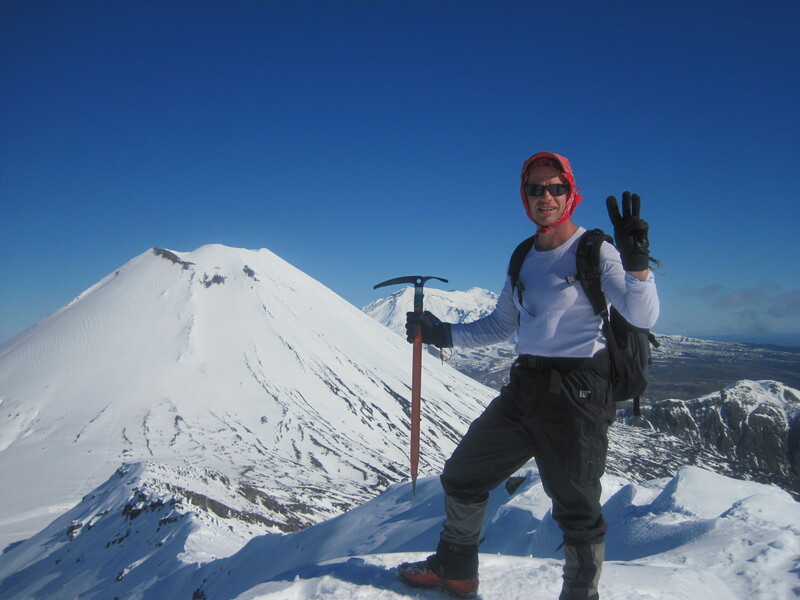 Mt Ngauruhoe's summit directly behind him. 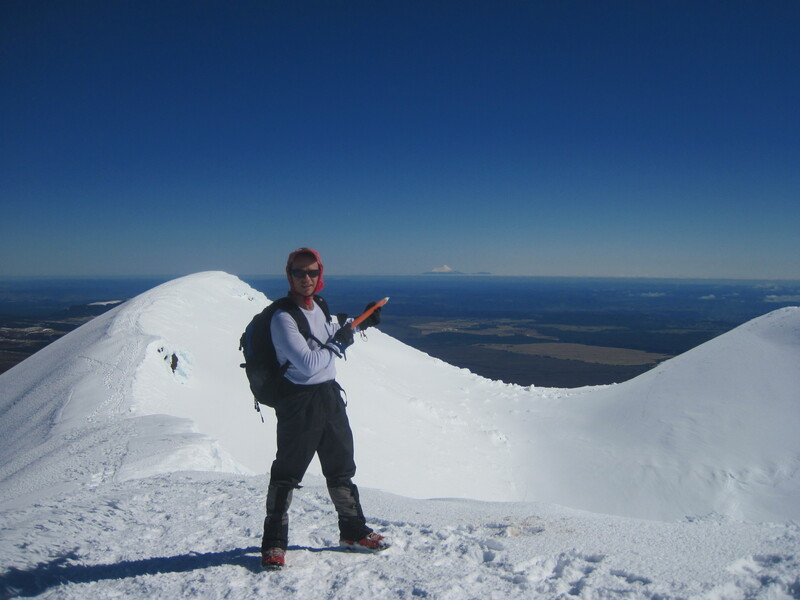 Standing on Tongariro, 3rd summit in two days with Ngauruhoe and Ruapehu visible behind me. 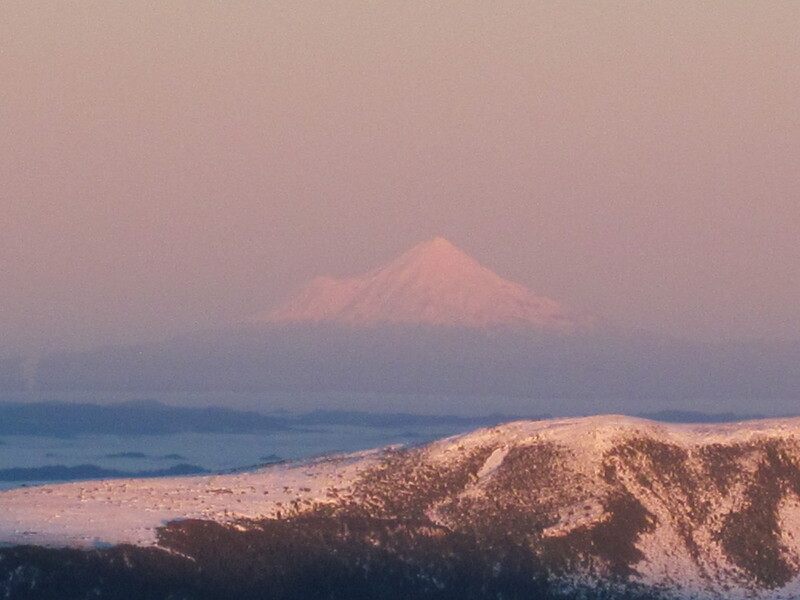 A fun, stress free few days in the hills!